Northeast Championship Wrestling returned to the Elks Lodge in Norwood, Massachusetts this past Friday for the Friday Night Fights, a chaotic night of action that saw champions fall, the Commissioner attacked, and a fireball assault on “The Showoff” Mike Paiva. This now sets the stage for Friday night May 1st when NCW presents our 18 year REUNION. Ring Announcer Shane Daly was welcomed by the NCW Heavyweight Champion “RIOT” Kellan Thomas, who was still without his title belt after what happened at March Madness. Thomas was quick to promise retribution for it, and would get his belt back May 1st at REUNION. Thomas was then interrupted by “The MUTT” Ian Griffin, who continues to believe that he is “The Most Under Utilized Talent Today”, and wanted to prove it against the Champ. – “RIOT” Kellan Thomas w/ Kepler d. “The MUTT” Ian Griffin in their impromptu match, finishing off Griffin with a vicious suplex driver into a rollup. Triplelicious then arrived on scene, holding the briefcase containing the NCW Heavyweight Championship belt. Trip offered to get in the ring and fight “RIOT” like a man, only for a giant 6’4 300lb silence emerge from the back, attacking the Champion. Trip announced this individual as Frank, his new bodyguard and protector. With everyone gunning for Trip, he knew he needed back up. Trip then guaranteed to take Rob “The Giant” Araujo’s New England Title later on in the evening, while declaring himself the self-proclaimed Heavyweight Champion. – In his NCW debut, “The Selfie-Made Man” Vern Vicallo picked up a huge victory over “Simply God’s Best” GA West w/ Doc Ozone after reversing out of ‘The Final Flash’ and using the ring ropes for leverage in securing the pin. During the match GA found himself on the side of cheers, with the Norwood crowd firmly behind the former New England Champion. NCW 2014 Rookie of the Year Christian Casanova was set to take on “Slamdance” Tim Lennox in tag team action, only to have “Bam” Brandon Behm interject himself and assist his Underground Anarchy partner. The Lumberjake then arrived on scene to help Casanova, and the Commissioner Dean “The Beast” Livsley then turned the match into a tag team match. – Christian Casanova and the Lumberjake d. The Underground Anarchy w/ Sean Feeney after Lumberjake assisted Casanova in a vicious axe-kick to a prone Tim Lennox. 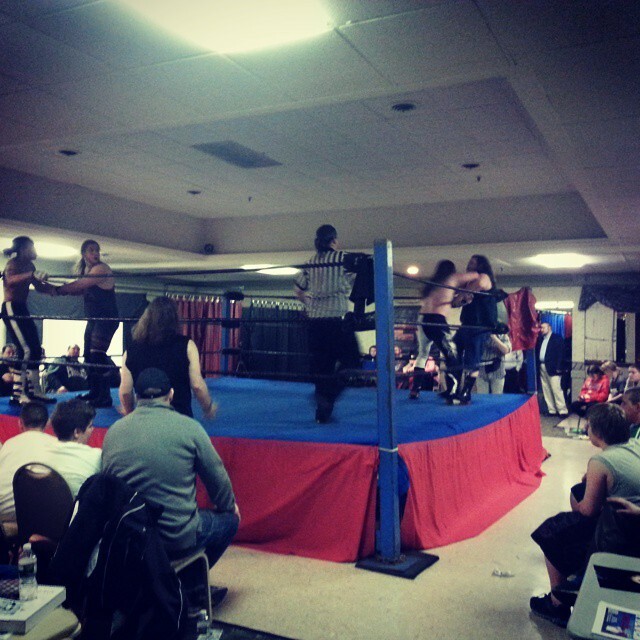 Following the match both Casanova and Jake were attacked by The Anarchy, with the trio laying out the victors. – In a great back and forth battle “Dastardly” Doug Summers w/ Ashley Vox defeated “The Native American” Tomahawk after the NCW 2014 Most Hated used the cunning resources of his manager Ashley Vox to allow himself to gain the advantage, finishing Tomahawk off with a ‘Beautiful Disaster’ during the chaotic final moments. – One half of the NCW Tag Team Champions David Loomis defeated “The Fittest Man” Dan Terry w/ Derek Andrews with a bicycle kick to Terry’s face as Crossfit looked to get one on over on the Loomis Brothers while Eddie Loomis recovered from a finger injury keeping him out of the match. – Triplelicious w/ Frank d. Rob “The Giant” Araujo to win the NCW New England Championship after Trip’s bodyguard delivered the distraction (and the briefcase) to give Trip the victory and the Championship. Following the match Commissioner Dean “The Beast” Livsley went in to check on Robbie, then getting in the face of Trip. With his back turned Frank assaulted the Commissioner laying him out with a huge sidewalk slam to the mat. 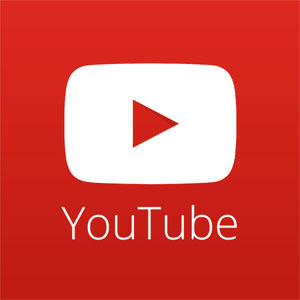 – “Ruthless” Ruy Batello and “The Original Showoff” Mike Paiva went to a no contest when The Underground Anarchy interfered, leading to “Black Magic” Sean Feeney using a fireball on Paiva to incapacitate him. The entire locker room then poured out to battle with the Anarchy while Officials tended to Paiva. Previous PostTONIGHT! 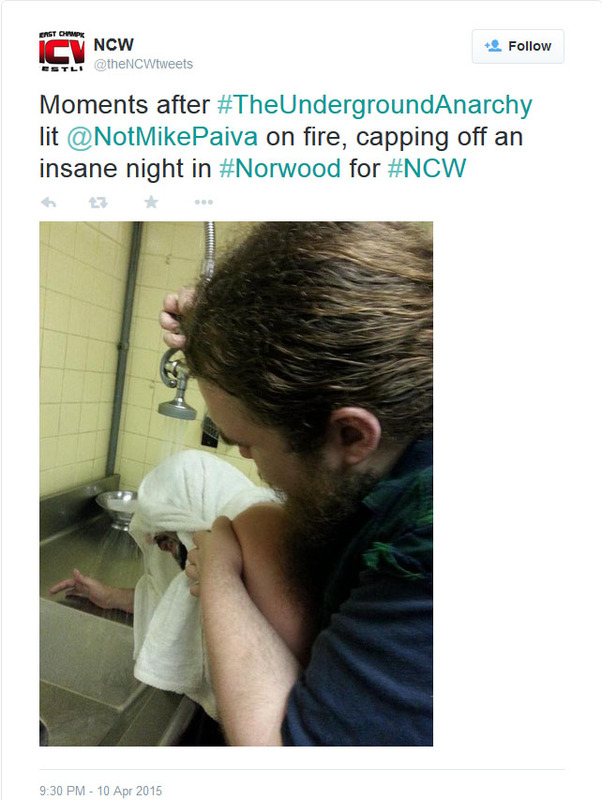 NCW’s Friday Night FightNext PostVIDEO: The Fireball Attack on Mike Paiva! 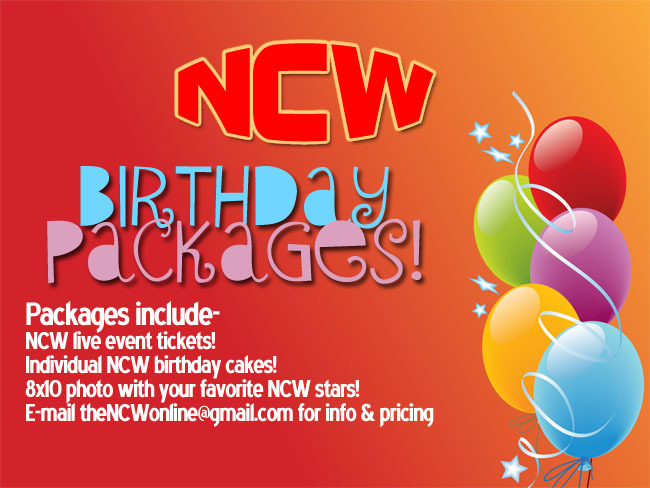 If you haven’t checked out NCW yet, get there next month. Great organization.